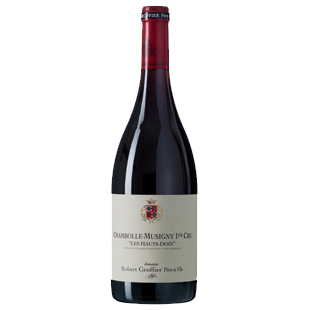 "The 2017 Chambolle-Musigny Les Hauts Doix 1er Cru comes from 70-year-old vines, including 50% whole bunches, matured in 25% new oak. This has a very floral bouquet, already open and welcoming, with pressed rose petals infusing, almost dictating, the vibrant red fruit. The palate is medium-bodied with fleshy red fruit. Not a light Chambolle-Musigny per se, yet nimble and light on its toes, with an unprepossessing, detailed tart finish and a dash of white pepper on the aftertaste. This will probably drink earlier than Groffier’s other 2017s but should still offer 15 years of drinking pleasure."